A: Depending on your location, getting your order will take 3-14 business days! Please allow 1-2 business days for us to ship your order. For exact information, please have a look at our Terms & Conditions. We usually ship with DPD Germany. Q: Are your carriers safe? A: Our carriers are called “Ring Slings” and are a very common carry style. We chose the best available fabric quality in combination with our harmless aluminium rings. Still, every wearer has to practice a little before feeling completely comfortable using Ring Slings. To use our carrier with confidence, please have a look and practice at our Learn section on our website and inside the booklet that will arrive within your order. Q: Can I breastfeed in the carrier? A: Yes! With a little practice, it can become very easy and convenient. Simply loosen the carrier while in use so the baby will be lowered down to your chest level. You can hide it by gently placing the end of the fabric over the baby’s head. A: Most newborns can be worn right away. HÄNSCHENKLEIN carriers are the most womb-like environment your baby could be in after birth. If your baby has health challenges or weighs less than 8lbs/ 3kgs you should discuss babywearing with your health care professional. Q: What is so good about Ring Sling carriers? A: Ring Slings are easy, quick, comfortable and meant to go with any outfit. It is the easiest carry style because you do not have to wrap as much fabric around your body – our HÄNSCHENKLEIN carriers are only 74 inches/ 180 cm long. After some practice, using our Ring Sling will be the quickest and most comfortable way to wear your baby! Q: Where are your carriers made? Q: How am I supposed to wash my Ring Sling? Is it possible at all?? 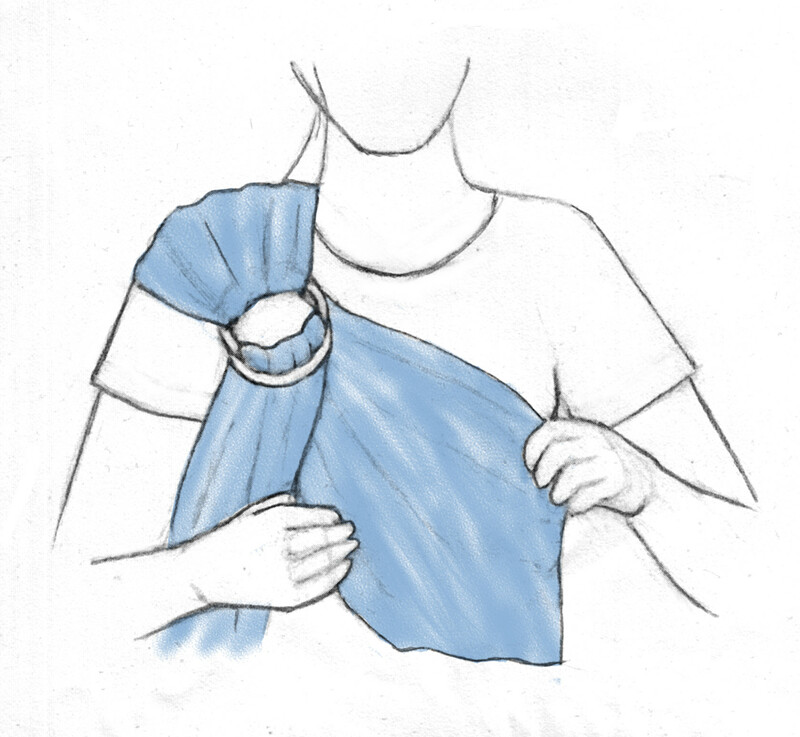 A: Yes, it definitely is possible to wash your Ring Sling. Please unthread it while doing so. Using a liquid detergent without optical brighteners, you can either wash your HÄNSCHENKLEIN sling in a washing machine on gentle cycle or simply by hand, both in cool water. Please do not dry it in a dryer! You can either hang it or lay flat to dry. It is possible to iron the sling if you wish to. Q: What am I supposed to do with the tail of the carrier? A: This is completely up to your desire – some like to simply leave it hanging. 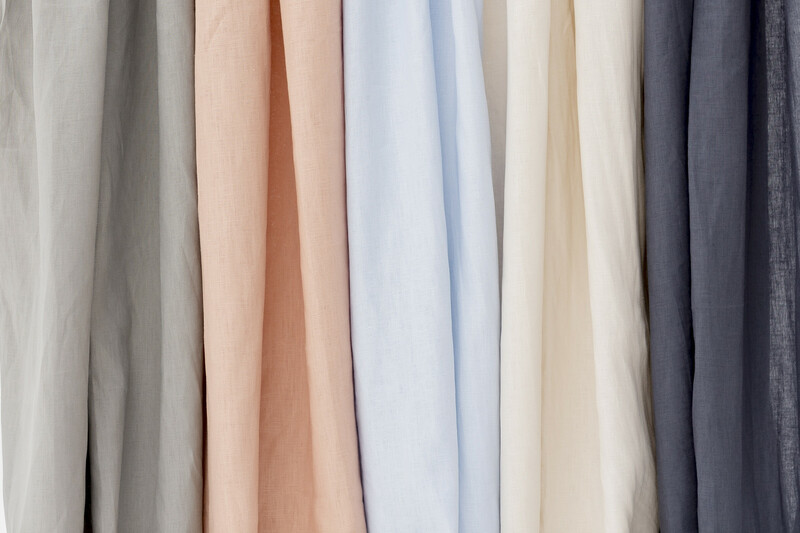 Some roll the fabric and tuck it under the head of their baby – which makes a great support, especially for newborns! Some others like to wrap the fabric around the rings to get it out of the way.